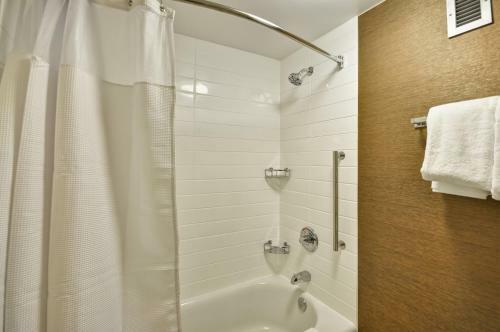 Rooms from $76.00 per night. 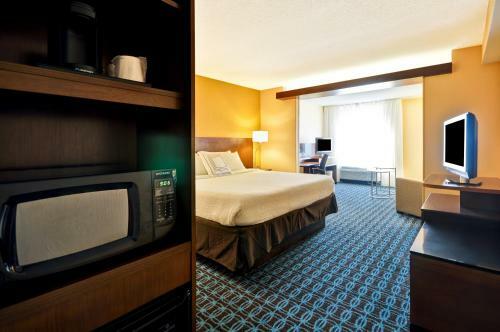 With an outdoor pool and hot tub free Wi-Fi daily free hot breakfast and flat-panel TVs our guests celebrate a festive deal at the non-smoking Fairfield Inn & Suites Atlanta Vinings. 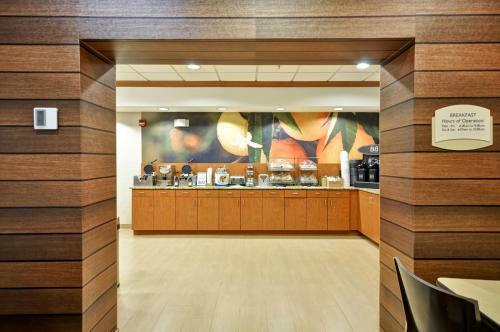 The seven-story Fairfield Inn & Suites houses 143 rooms with comfy Temperpedic mattresses with premium bedding free Wi-Fi flat-panel HDTVs with premium channels sofa beds desks CD players refrigerators microwaves and coffee makers. Feel free to sizzle up something delicious in your room or wake up and smell the hot coffee brewing. 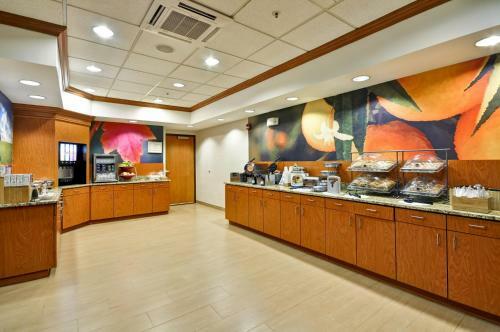 The hotel provides a continental breakfast including breakfast sandwiches waffles and quiche. A convenience store a seasonal outdoor pool with a hot tub a fitness center and a business center are also available on-site. 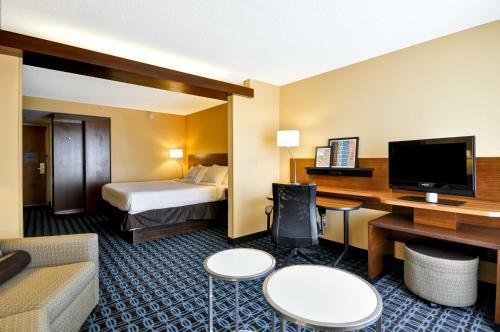 Nestled in the Vinings area of Atlanta near the meeting point of I-285 and I-75/85 the Fairfield Inn & Suites is 18 miles Hartsfield-Jackson Atlanta International Airport and offers free parking for both compact and larger vehicles. 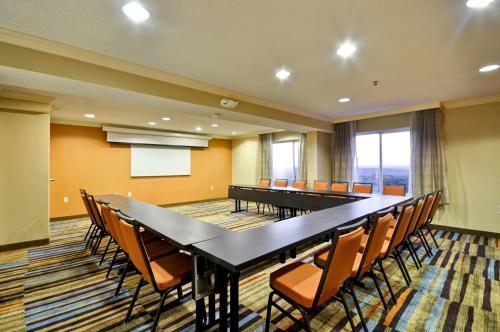 A quick 12 minutes from Six Flags White Water and 12 miles from downtown Atlanta the hotel is just seconds away from grocery stores and fewer than two miles from trendy boutiques at Cumberland Mall and exciting events at the Cobb Galleria Convention Center. Add Fairfield Inn & Suites By Marriott Atlanta Vinings/galleria to your free online travel itinerary.